Unlike the Tomorrow Sleep, the DreamCloud Sleep hybrid mattress only comes in one firmness option which scores 6.5 out of 10, with 10 being the firmest. The DreamCloud Sleep just like the Tomorrow Sleep does a good job in reducing heat and keeping you cool due to the gel infused top foam layer and the innerspring layer that allows excellent air circulation. The latex layer and the cashmere top cover contribute to this and ensure that this mattress sleeps cooler than most mattresses we have tested. 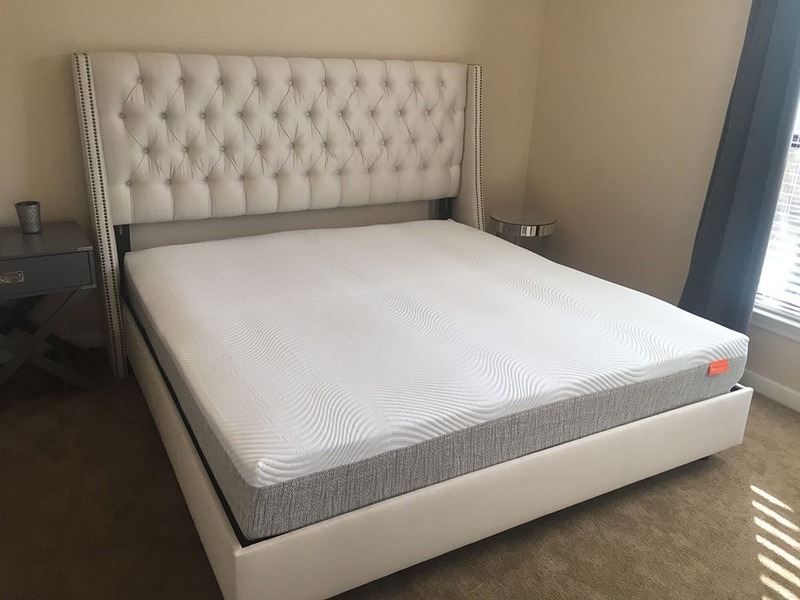 The Dream Cloud Sleep mattress is very reasonably priced coming in at $1399 for a Queen (you can save $200 by clicking here), which is totally unexpected given its luxury, hand tufted cashmere, and other highest quality materials used in its construction. Below is our comprehensive side-by-side comparison of the Tomorrow Sleep vs. DreamCloud Sleep mattress.